in the Borough of Bexley. Part of her role is to champion the promotion of mental health and well-being within the whole school community, from students and staff to parents and governors. Working with many primary, secondary and special schools across the Borough of Bexley, Pascale is acutely aware of the high level of need when it comes to mental health and well-being support and of the relentless restrictions around time and resources that teachers face. On a personal level, Pascale had already developed an awareness of her mental health and actively took steps to build her resilience and promote her well-being. In her role, she needed support to translate her thinking and behavior from a personal level to a professional one. Pascale wanted to be able to share her knowledge and awareness within the communities she worked, and support them in improving their own mental health and well-being. Pascale’s manager recommended that she attend the DIY Happiness eight week programme to enable her to develop into the role. This was a great opportunity for Pascale to develop skills, reinforce her existing knowledge and to learn some tools to use in mental health and well-being promotion. The programme put the six elements of well-being into practice and supported the theory with research and evidence, ensuring Pascale was able to process each aspect as a unique, but interdependent element. There was the opportunity to meet well-being coaches as well as fellow participants, and she took away a range of resources to employ in her work with schools. Since attending the course, Pascale has learnt to share her knowledge in a more effective way. 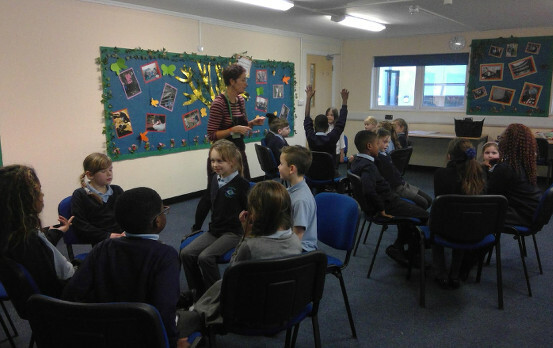 She has been able to use the Wheel of Well-being with a huge range of groups, including school children, the wider school communities and elderly dementia patients. She has held assemblies for children, and workshops and training sessions for staff and parents, ensuring a focus on mindfulness. Since attending the course, Pascale uses the Wheel of Well-being and the DIY Happiness game as tools to spark thinking about well-being in an holistic way. Previously, Pascale hadn’t considered the ‘Planet’ element within the well-being framework, but now highlights this with the groups she works with as part of an holistic approach to well-being that goes far beyond the individual. The ongoing challenge is how to reach the young people in an effective way. Time is a precious resource in schools and teachers are under so much pressure that they don’t necessarily have the availability and head-space to buy into the concept. Of the schools that Pascale has been working with, there is definitely a demand for more and more support to continue their well-being journey, to develop their skills and to support the students and the wider community to become more resilient and improve their mental health and well-being.